The Propel Pedal Drive is a highly acclaimed and revolutionary system that allows users to go further and explore more than ever before. Reverse capability enables users to easily slow down, stop, or back up in tight spots. 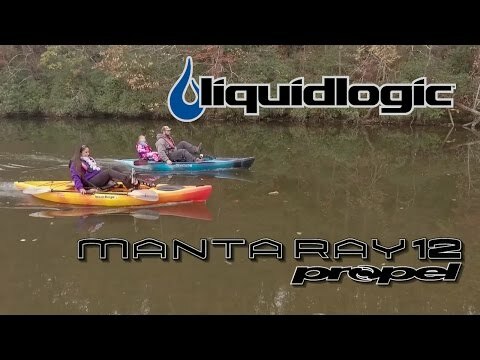 Great for all ages and uses, the Manta Ray Propel is on the cutting edge of recreational kayak design. Features include: a sharp bow and stern that enhances glide for easy cruising, adjustable ergonomic seating for comfort on the water, sealed bow storage, padded grab handles, and transducer mounting cavity and plate under the hull. Native Watercraft's proven and durable Propel Drive System has become more affordable than ever in this user-friendly craft.